Celebrate the official grand opening of The Franklin Ice Cream Bar in Old City. On the same block as ice cream parlor Franklin Fountain and candy store Shane Confectionery, a third dessert shop owned by brothers Eric and Ryan Berley will finally open in June. Franklin Ice Cream Bar's grand opening will take place Friday, June 1, from 11 a.m. to 1 p.m. There will be live music, samples and a raffle. 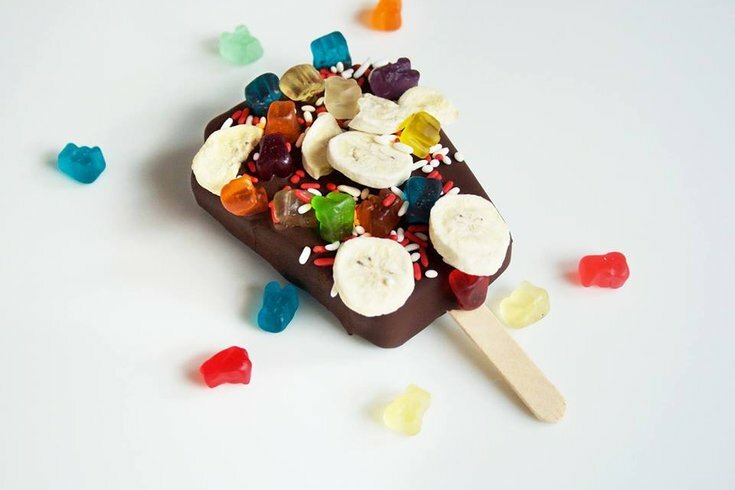 The shop will specialize in keystone-shaped ice cream bars that are sprinkled with candy and other delicious toppings. The menu will also include a variety of ice cream and frozen custard flavors, including vegan options, as well as take-home pints and quarts of house-made Franklin Ice Cream.